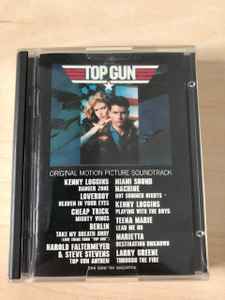 Harold Faltermeyer appears courtesy of MCA Records, Inc.
Steve Stevens appears courtesy of Warner Bros. Records, Inc.
Berlin appears courtesy of Geffen Records (U.S. and Canada only). Teena Marie, Miami Sound Machine and Cheep Trick appear courtesy of Epic Records. Larry Greene appears courtesy of Camel Records/MCA Records, Inc.
Cat # CM- 40323 appears on the spine.